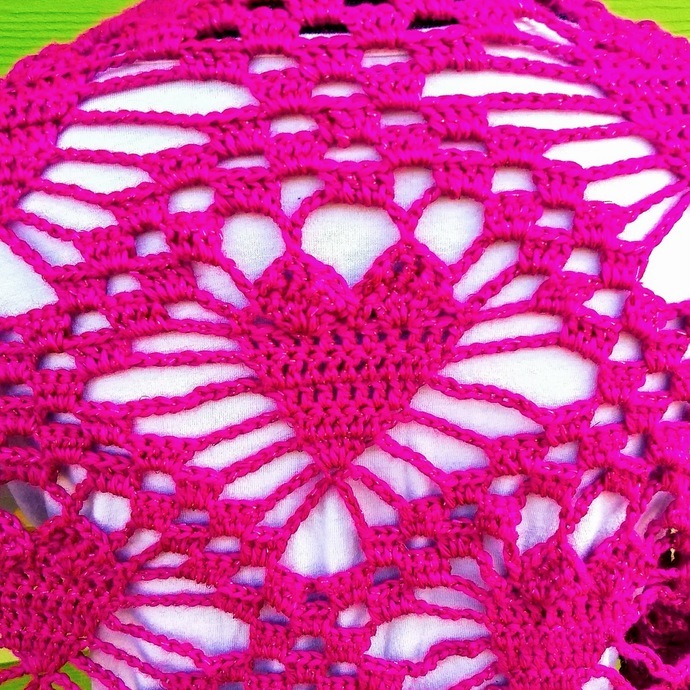 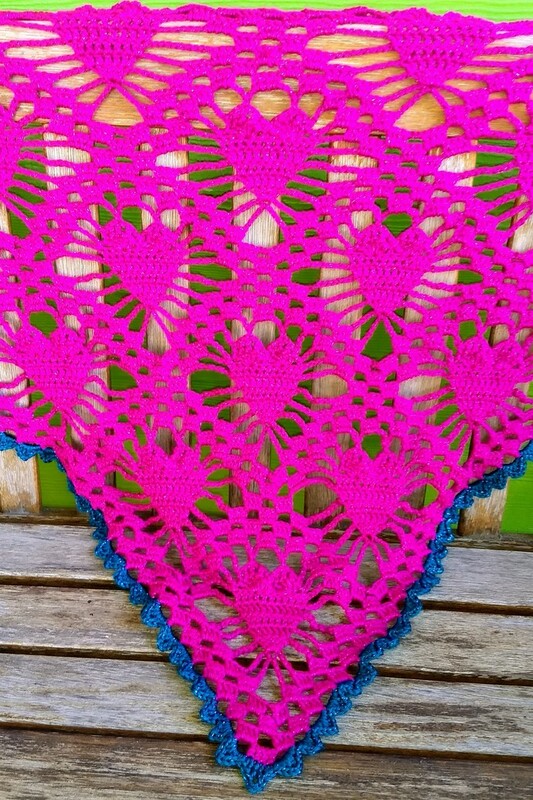 This Sparkly Pink Heart Shawl is a massive 80 inches across and 33 inches down the spine. 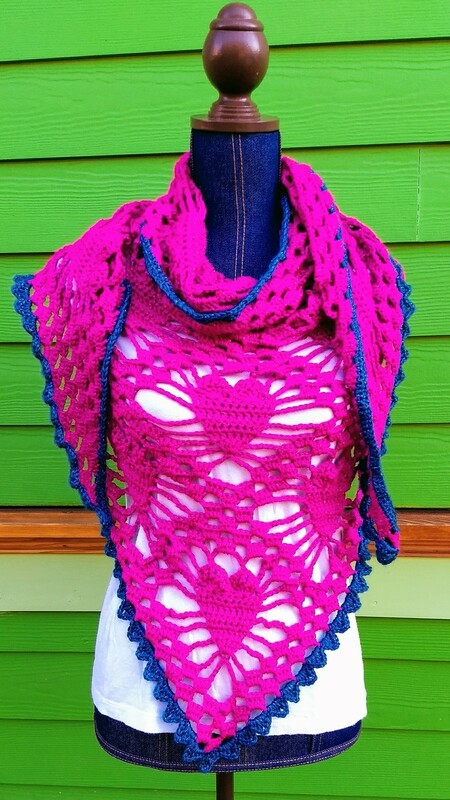 It is made from super soft bright pink yarn with a color matched metallic sparkle thread running through it, and trimmed in sparkly teal with a saw tooth edging. 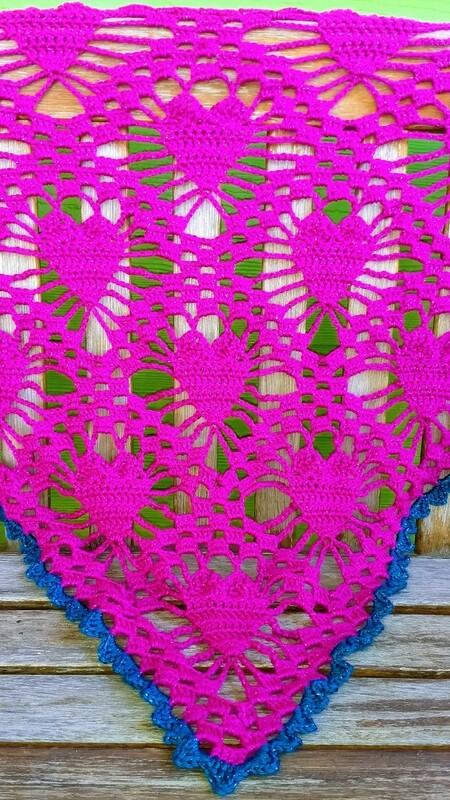 It starts with one heart at the tip of the shawl and increases by one heart each row until there are 6 hearts across the super wide top row of the shawl. 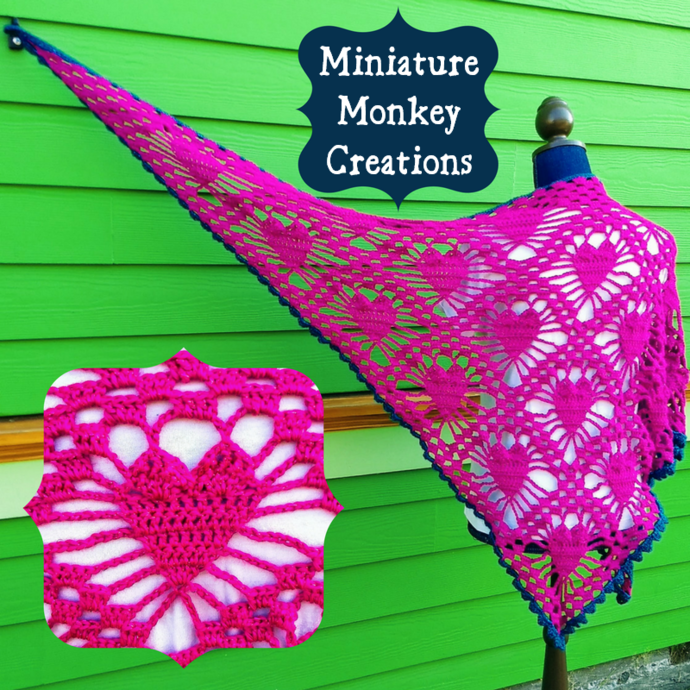 Whether you're that tall person who can never find a big enough shawl, an average sized person who wants a supersized shawl to snuggle up in, or you want to show someone you love just how very much, this is the shawl for you. 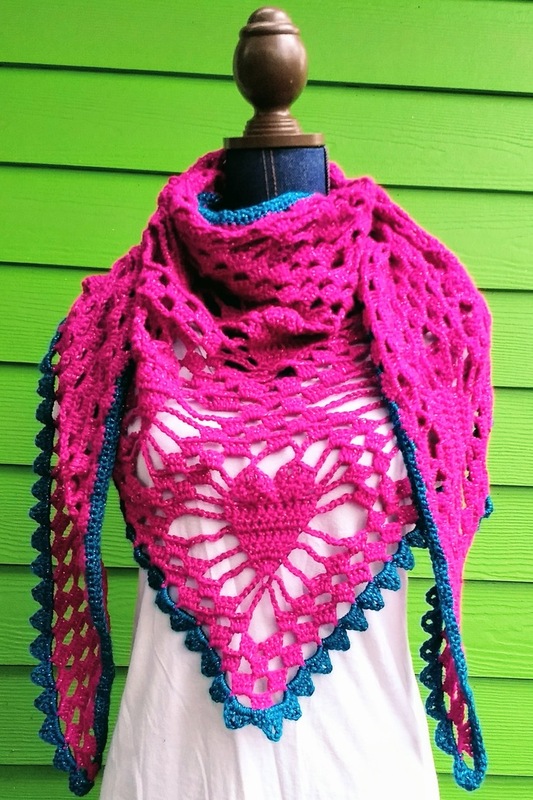 This shawl is made of soft machine washable acrylic yarn. 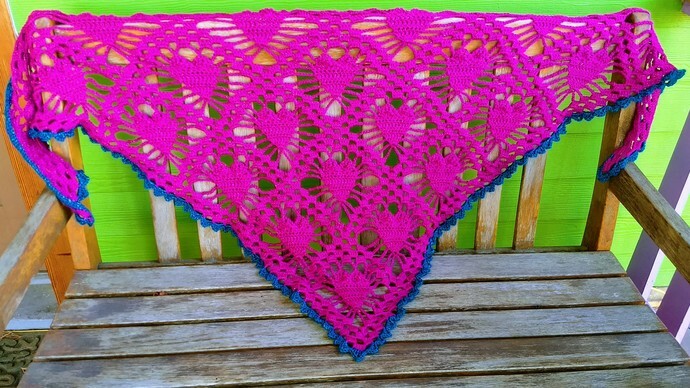 While it can be machine dried on low, I recommend drying the shawl flat to maintain its shape. 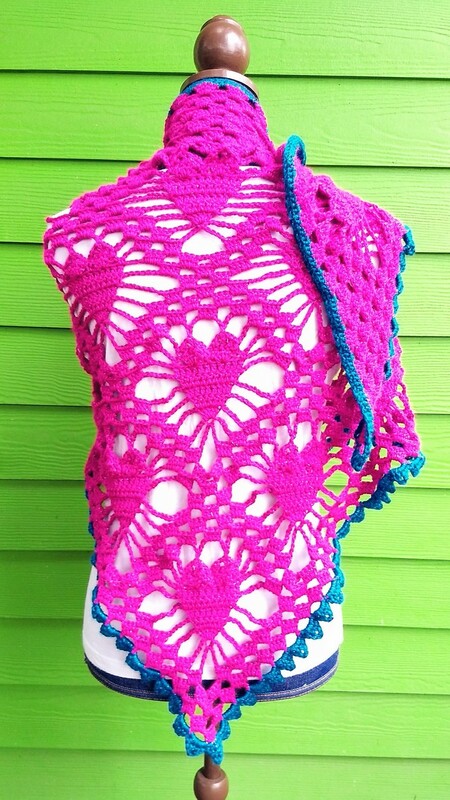 This shawl will be shipped USPS Priority Mail to US addresses, and first class to international addresses.